A former Grand Union supermarket site in Fort Edward, NY has undergone a major metamorphosis. Located in EPA Region 2, the former brownfield property has been redeveloped to provide the local folks in the Village of Fort Edward with a new Market 32 grocery store. Prior to Grand Union which closed in 2003, the site had been used as a disposal and laydown area for a General Electric plant that had been located across the street. The site had significant PCB contamination. CERCLA/ERRD removal action was performed and the Town of Fort Edward used their Community-wide hazardous substance Assessment Grant to fully investigate the nature and extent of contamination at the site. The existing building was demolished to assess contamination under the structure prior to cleanup planning and implementation. A number of funding types were used to assess, cleanup and redevelop the property: an Emergency and Remedial Response Division (ERRD) Removal Action, an EPA Brownfield Assessment Grant, an EPA Brownfield Cleanup Grant, State funding, National Grid funding, and private developer funding. Much of the planning for the site was discussed and laid out through the interagency workgroup that was developed in large part by EPA. There was a lot of successful collaboration between the agencies, the consultant and the developer. 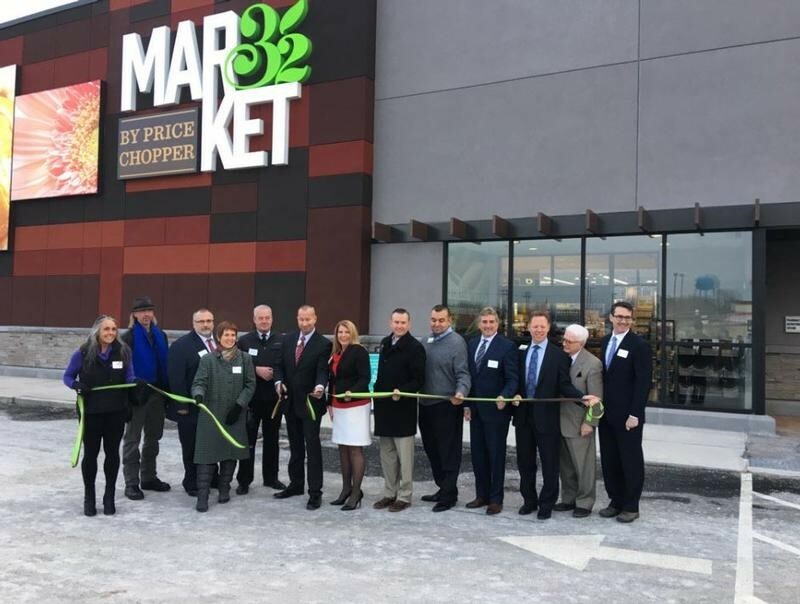 Market 32/Price Chopper purchased the site after committing to the project in December, 2015. The grand opening was held on Tuesday, January 10, 2017. Market 32 is the first supermarket in the Village since 2003. Prior to this, Fort Edward was referred to as a “food desert” as residents had to drive 15 miles to shop at the nearest supermarket in Queensbury (for over a decade!). 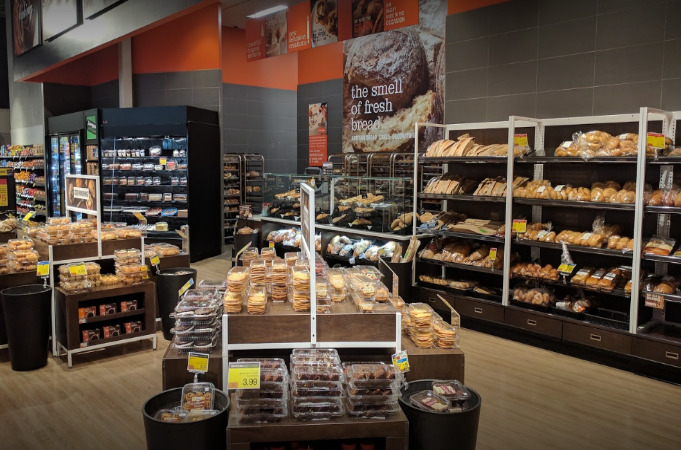 Also of note, because of the new supermarket, chain restaurants (notably McDonalds) located adjacent to the supermarket changed their plans to renovate stores in a neighboring village and decided to renovate the store in Fort Edward instead. On March 23rd, Congress passed the BUILD (Brownfields Utilization, Investment, and Local Development) Act, which, in addition to reauthorizing the Brownfields Program, contains several significant changes to the current statute. Key highlights include: expands grant eligibility for nonprofits with a 501(c)(3) designation from the IRS; increases cleanup grant funding up to $500,000 per site, with potential waivers up to $650,000; provides grant authority for multi-purpose grants; creates a new grant program for states and tribes to provide training, technical assistant or research to small and disadvantaged communities; and removes the cost prohibition (EPA Brownfields Grant recipients can now use up to 5% of grant funds on administrative costs). EPA will host a public webinar to discuss the BUILD Act in detail on June 6, from 3:00-5:00PM EST. To register, go to: https://clu-in.org/conf/tio/BUILDAct/. For a copy of the BUILD Act, go to: https://www.epa.gov/brownfields/division-n-consolidated-appropriations-act-2018. We are pleased to announce that 144 communities will receive 221 grants totaling $54.3 million in EPA Brownfields funding through our Assessment, Revolving Loan Fund, and Cleanup (ARC) Grants to assess, clean up and redevelop underutilized properties while protecting public health and the environment. These funds will expand the ability of communities to recycle vacant and abandoned properties for new, productive reuses. "EPA's Brownfields Program expands the ability of communities to recycle vacant and abandoned properties for new, productive reuses, using existing infrastructure" said EPA Administrator Scott Pruitt. "These grants leverage other public and private investments, and improve local economies through property cleanup and redevelopment." EPA is selecting approximately $3.3 million in Environmental Workforce Development and Job Training (EWDJT) grants to 17 communities across the country to recruit, train, and place unemployed and underemployed individuals with the skills needed to secure long-term employment in the environmental field. Each recipient will receive funds to develop and operate environmental job training programs that advance environmental justice by providing opportunities for residents living in areas impacted by contaminated lands. Local residents will secure employment within their communities conducting brownfields remediation, Superfund cleanup, wastewater management, solid waste recycling and cleanup, chemical safety, solar installation, and other environmental work. Team ACRES is working hard on our new version, 6.0, which is scheduled for release this fall. Because we are focused on the new version, modifications to the current release have been minimized to emergency fixes only. Under a cooperative agreement with the U.S. Environmental Protection Agency (EPA), the Hazardous Materials Training and Research Institute (HMTRI) will host the Annual Environmental Job Development All-Grantee Meeting on August 9–10, 2018 in Alexandria, Virginia. All EPA-funded Environmental Workforce Development and Job Training (EWDJT) grantees are strongly encouraged to attend. Other meeting participants include prospective EWDJT grantees, and EPA regional and headquarters representatives. Here are the program results for fiscal year 2018 as of March 31th. Every goal is on target (and many ahead of target). Thanks for your help in getting information into ACRES so we can show our success. Keeping your ACRES data up to date has never been more important. Using the Work Package Sharing feature, ACRES provides Cooperative Agreement Recipients (CARs) the ability to collaborate with your colleagues and/or contractors to enter the Property Profile Form (PPF) data for project sites. Instead of having to enter all PPF data yourself, you can use this function to start a work package, enter the data which you have readily accessible, and then hand off the work package to another ACRES user or users on your project team to complete. Once your collaborators finish filling out the remaining data, then you just need to review and submit the work package to your EPA Project Officer. For example, you might add a new property to your Cooperative Agreement (CA) and fill out the property location and site background information and then share the work package with your Qualified Environmental Professional (QEP) or contractor. They could fill in the site-specific activities, dates, and technical information. Finally, you would review the completed work package and Submit it to EPA. You could similarly share the work package with someone else in your organization. For example, someone in your finance office could assist with the dates and funding information for the assessment or cleanup activities. There is no limit to the number of people with which you can share a work package. They just need to be active ACRES users with your CA associated to their accounts. The work package 'owner' starts the work package and can select 'collaborators' (other ACRES users associated with your CA) to update information on the work package. Collaborators are notified by email that a work package has been shared with them. You even have the option to create a message with your instructions to be included in this system-generated email. To begin sharing, click the "Enter Data" link next to one of the properties associated to your CA and click the button next to the "This Work Package is Shared" (or NOT Shared section title). This section lists all other ACRES users associated with your CA. To share the work package, simply click the box next to the other user's name(s). An "X" mark replaces the box. Remember you have the option here to include a written message to your collaborators. To finalize the sharing and to send the message, click the button. If at any point you wish to remove the work package sharing, just return to the work package sharing section and simply un-click the "X" mark next to the other user's name. A column title "Shared" will display on your CAR Home page to identify packages that are currently shared. The column lists both you (owner) and your collaborator's names. Because only one user can make edits at a time, if one user tries to access a work package that is being edited by another collaborator/owner, a lock icon will appear next the work package on the Home page. As soon as the user finishes editing (logs out, times out, or moves to another area of ACRES) the lock will be removed. It is important to note that only the owner (the person who initially created and shared the work package) can ultimately submit a work package for regional review.